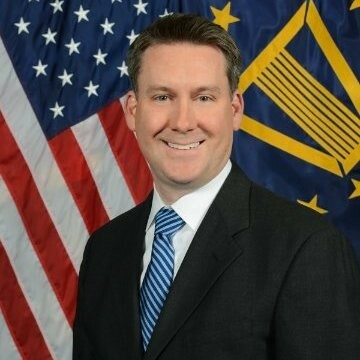 Jason G. Martin currently serves as the Services Directorate (SE) Executive for the Defense Information Systems Agency (DISA). He owns the Cloud/Compute and Storage portfolio for the Agency, operates all DISA Ecosystem data centers, provides Department of Defense Enterprise Services to 4.5M users, and leads Mission Partner application cloud and data center implementations. Additionally, he operates and maintains the global DISA internal network to 16K+ users. Previously, he served as the Deputy for the DISA, Services Directorate and Deputy PEO for Enterprise Services (PEO-ES). In both roles, he served as senior authority for delivering global and enterprise-wide capabilities to the Department of Defense while providing policy, oversight, and guidance to enable information sharing government-wide. Mr. Martin entered the Federal Service in August of 2009 when he was assigned as the DISA Customer Management Executive. Prior to entering Federal Service, he served as a Senior Manager for Deloitte Consulting supporting programs across the Department of Defense. Mr. Martin began his career as a Software Engineer for Electronic Data Systems (EDS) supporting MCI/Worldcom and General Motors Europe. Mr. Martin received his Bachelor of Arts from the University of Missouri in Columbia, MO. He also completed the Senior Executive Fellows program at Harvard University, Kennedy School of Government, in 2013.